Prior to landing in Istanbul, my knowledge of Turkish cuisine was limited to kebabs, baklava and falafel (which turns out isn’t even Turkish). But as we’ve raved before, we think cooking classes are one of the best things to do when you arrive in a new place. What cooking class did we choose in Istanbul, and why? We searched the inter-webs and found a cooking class in Istanbul that looked perfect. There are plenty to choose from, but one stood out among the rest. Cookistan was started by two Turkish sisters, Ayşın and Aysun, along with their German friend. Their intention was to share their love for Turkish cuisine in an intimate and boutique-style setting. Right up our alley. We browsed their TripAdvisor ratings and were wowed even more. They received glowing reviews from all who have taken their class. We were sold. Our class began at 4 in the afternoon with a walk through a neighborhood that was historically populated with immigrants. Today, you can still see the influences of the people that once called this corner of Istanbul home. We watched young men peel artichokes faster than any machine I've seen, and smelled traditional flatbread as it came out of an oven. Well, I guess the better description would be a hole in the ground filled with coals. As a former tour guide, Ayşın is a gold mine of information on Istanbul. She gave us a glimpse into the history of the city and gave us valuable tips for our time in her country. She answered our questions – even the silly ones that weren’t related to food at all. Ayşın told us that these smaller neighborhoods have a strong presence of small, family-run businesses. But with a mall currently being constructed at the edge of this historic area, the residents are hoping that their tradition of mom-and-pop shops doesn’t die out. And after seeing these businesses firsthand, we hope they are able to prosper too. After an hour of absorbing all the information we could, we ended our walk at Ayşın’s home: a seriously stunning place flooded with natural light and exposed bricks (two of my favorite things). A giant blackboard made a statement in the center of the dining room with our menu written in chalk. As is typical for any Turkish host, Ayşın made us each a cup of çay. (It’s pronounced "chai" and is the Turkish word for tea.) She also served up some yummy pastries she bought fresh during our tour of the neighborhood. Ayşın introduced us to her sister, Aysun, and we sipped, ate and chatted for a bit about our travels and nothing in particular. It was as if we had just walked into the home of our friend. Except that this friend was in Istanbul – a place entirely new to us. Once our (second cup!) of tea was finished, we washed our hands, tied on our aprons and eagerly awaited instructions. Now it was time to get to work! We cooked a lot! Six courses, to be exact. But first, Ayşın gave us some information about the different types of Turkish cuisine. Istanbul cuisine: the dishes that are native to the minority groups that immigrated to this metropolis many centuries ago. Anatolian cuisine: meals that originated from the people of central Turkey. These are more simple dishes overall. Ottoman cuisine: more complex dishes that were made for the royal family. Ayşın had thoughtfully chosen a menu that had dishes representing each of these cuisines. We each chopped, mixed, rolled and seasoned our own dishes as Ayşın gave us some tips about cooking Turkish food. I loved her description of a “Turkish pinch”, referencing the large amount the spice used this cuisine. Ayşın told us to grab a heaping amount of dried mint, paprika, and cumin with three fingers instead of the usual two. She also told us that Turkish cuisine should be made with your heart and your eyes together. “It should make you feel something,” she explained, patting her heart. I really appreciated that Ayşın chose meals that are simple and possible to recreate at home. As she said, there’s no point in teaching you a dish that you’ll never make again – that's the type of food you can order in a restaurant! So what exactly did we cook? Oh, let me tell you! But don't read these descriptions on an empty stomach. Consider yourself warned! Sulejmanje Soup: This was originally created for the sultan, and he liked it so much that this soup is named after him. With a mix of veggies, lentils, leafy greens and homemade meatballs, I’d like this soup to be named after me too! Borecik: This pastry is stuffed with a mix of meat and onions, then curled up to look like a cinnamon roll. It’s baked and topped with yogurt, mint and a butter-chili mixture. Yes, please! Stuffed Grape Leaves & Eggplant: This is something I’ve always wanted to learn more about, and that we did. It’s a fun meal to make because you can really stuff any vegetable you want, pop it in the oven, and voilà! Tasty finger food! Bulgur Salad (Kisir): A light and fresh mix of herbs, spices, lemon, veggies and wheat bulgur, this may just be my new favorite summer salad! Circassian Style Chicken: This chicken salad is made from a seemingly strange combination of fresh herbs, spices, dried bread, garlic, yogurt and shredded chicken, but damn, it was tasty! Put it on bread for a tasty chicken salad sandwich like you’ve never had before. Baked Pumpkin Dessert: Cloves and vanilla sugar are perfect complements to this tasty fruit. Related: How to cook a traditional Turkish borek recipe at home. With the scent of garlic and onions wafting through the house, we knew it was time to taste our creations. But first, like any good host, Ayşın poured each of us glasses of Turkish wine (which was excellent, by the way!). All of us, Ayşın and Aysun included, sat down to enjoy the meal we’d just cooked. Good conversation, delicious wine and scrumptious food – the components of a perfect evening. What did you do after dinner? We ate dessert, of course! We’d made a tasty pumpkin dessert flavored with vanilla sugar and cloves, then topped with tahini. Even though I was stuffed, I couldn’t help but scrape the plate clean. And on the subject of being full, a nice touch was that Ayşın gave us takeaway containers so that we didn’t have to overeat (too much) or waste any of our homemade creations. I really appreciated that because we’ve taken quite a few classes where we leave absolutely bursting. And that’s my own fault, I know. But when the food’s that good, I just can’t let it go to waste. And after the table was cleared, Ayşın served us some traditional strong Turkish coffee. A perfect ending to a perfect meal, in my opinion. When our food comas started to lull our minds and bodies into stupor, we thanked our hosts and hugged them goodbye; once again feeling as if we were parting with good friends. What is the best part about Cookistan Turkish Cooking Class? 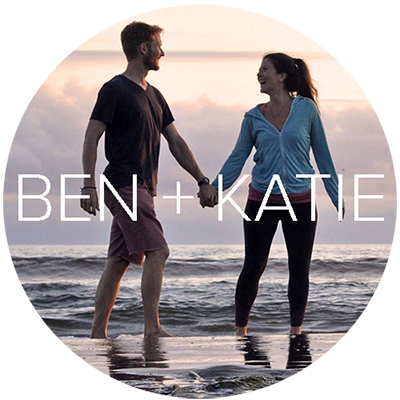 Ben and I have shared why we love taking cooking classes on our travels so much, and to date, we’ve taken courses in 9 different countries. By this point, I’d say that we know what makes a good cooking class, and I have no hesitation when I say Cookistan was one of the best. We know what makes a good teacher: Someone who is patient and pays careful attention to detail, while also being flexible. A good teacher is able to give praise and correct mistakes in a constructive way. Ayşın was all of the above; a natural. And best yet, she doesn’t take herself too seriously. She was able to laugh and have a good time while instructing us. Being that this was the ninth class we have taken, we also know what makes a course itself successful, and Cookistan certainly passed the test. In Indonesia, we had a wonderful time learning about the country’s cuisine and eating from a huge buffet, but with 26 people in the cooking class, it felt like a factory. Very well-oiled and maintained, but still a big production. Names were not learned. No personalization was given. And that’s okay sometimes. It was a great way to spend the day – chopping vegetables, mingling with other travelers and eating delicious food. I had no complaints at the time, but if asked to make an authentic Indonesian meal on the spot today, I would struggle because I’m not sure how much I actually learned. We have taken private cooking courses before, but none were quite as personal as Cookistan. This was the first time our teacher ate with us. In the past, they have left us to eat on our own, which is fine. But in this course we ate together and talked. We shared travel stories, and talked about the current state of Turkey. During the course, Ben leaned over and whispered in my ear, “I feel like I’m at a dinner party instead of at a cooking class.” I nodded. A jazz singer crooned in the background, and the wine and food made my face feel warm and my stomach happy. Definitely dinner party vibes. She went on to say that her dream was to make a cooking class where everyone felt like they had walked into a friend’s home in Istanbul. As a former tour guide, she wanted them to know the neighborhood and understand the way of the locals. She wanted them to feel at home. Not like they were just another person to get in and out. Sometimes traveling can get tiring. Cities can be overwhelming and being away from family and friends is lonely at times. Ayşın and Aysun not only taught us about their cuisine, but they made us feel at home in a new country. It was as if – even just for a night – we had friends in Istanbul who welcomed us with open arms. We truly cannot recommend this experience enough. If you are in Turkey and have any interest in food (umm, who doesn’t?! ), this class is a must. You will learn about the culture, have an incredible meal and feel at home with new friends. Our cooking course started at 4 p.m. and lasted until half past 9. Our course took 5 and a half hours, but there is no set schedule. Ayşın doesn’t want anyone to feel rushed (or kept prisoner – though I highly doubt you would!). She wants each class to run organically, as if you truly are in a friend’s home. Some classes may be longer than ours, and other shorter. But when you’re cooking, having great conversations and drinking wine, who’s watching the time?! Cookistan is a “boutique-style” cooking course, and class sizes are kept low. It really depends on what season you are visiting in, but the largest they get is typically 6 or 7 people. Ours was just Ben, myself and another man, and the small size allowed for us to really get to know Ayşın and ask her all of our burning questions. But slightly larger classes can be fun too, making for a bigger "dinner party setting". Chances are if you’re in a larger class, you’ll end up leaving with some new friends! How much does this cooking course cost? A cooking course with Cookistan costs $110 USD per person. We did our research, and I can assure you that this price is fair in Istanbul. In fact, some of the other classes we were looking at were a bit more. For everything that this course includes, we think this price is well worth the cost. Sure, you may be able to find other cheaper options around Turkey, but it would be hard to find any with the same “dinner party atmosphere” and a hosts as gracious as Ayşın and Aysun. I am vegetarian/gluten-free/allergic to a certain food. Can Cookistan accommodate my situation? Ayşın is very willing to accommodate people with different needs. We suggest that you send her an email first and discuss your allergy or foods you don’t eat. This all sounds great! I would love to take a cooking class with Ayşın and Aysun when I’m in Istanbul. How can I contact her and reserve my spot? Awesome! We’re so glad you’re thinking of booking a course with Cookistan – you won’t regret it! You can make a booking on their website, from this link. Tell Ayşın and Aysun that we sent you! And when you finish your course, let us know how your experience was in the comments below. Check out their stellar reviews on TripAdvisor and you’ll see that we aren’t the only ones who are crazy about Cookistan! We'd like to thank Cookistan for generously sponsoring our experience in exchange for this review. As with all articles, you can be assured you are getting our honest opinions.